I have been thinking about this one ever since I heard about it. I need to read this. I am really looking forward to reading this. My daughter just gave me her copy! I love Wendy Wax and hope to read this soon! I need to read this soon, too, hopefully tomorrow! This sounds wondeful and I always enjoy Wendy Wax books. I want to read this. 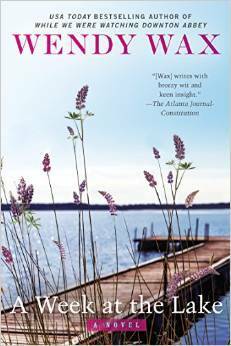 I love books about friends, and I love books that take place at a lake house since that’s where I grew up. I enjoyed this book too. Thanks for your great review. I really enjoy her books and this does sound like a perfect summer read!